Corner lot that offers alot! Like new condition with impressive five bedroom floor plan. Perfect for entertaining, two storey great room boasts rock fireplace off chef's dream kitchen with granite counters, huge island and stainless steel appliances. Enjoy the tranquil location. Grill year round on the covered deck that looks towards Jackson Ridge. Bonus, large den off entry which could be formal dining room. 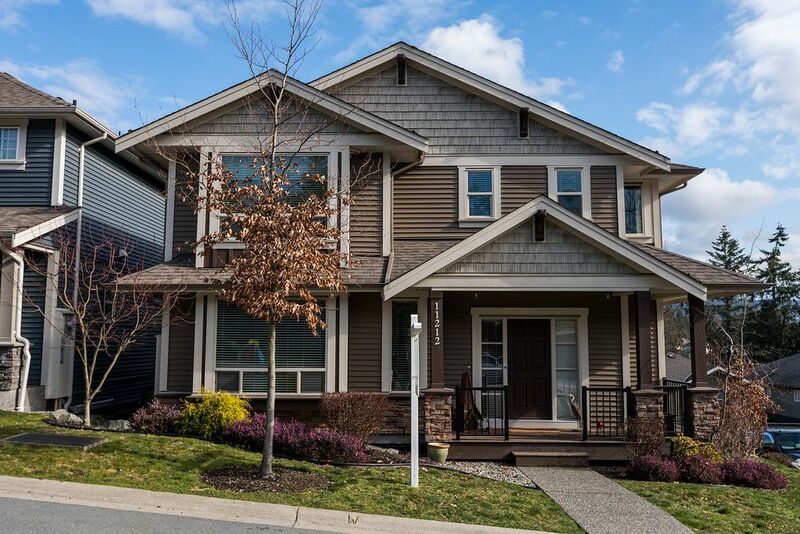 Four bedrooms up, master retreat enjoys a spacious ensuite and huge walk-in-closet. Basement has rec. room, full four piece bathroom and big fifth bedroom. Loads of storage and parking room for all your toys.